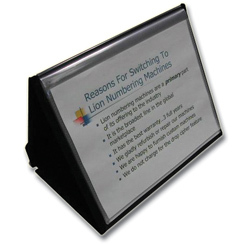 These Flip-n-Tell display easels make your presentation pop. They fold for easy storage. Available in letter or legal & horizontal or vertical.